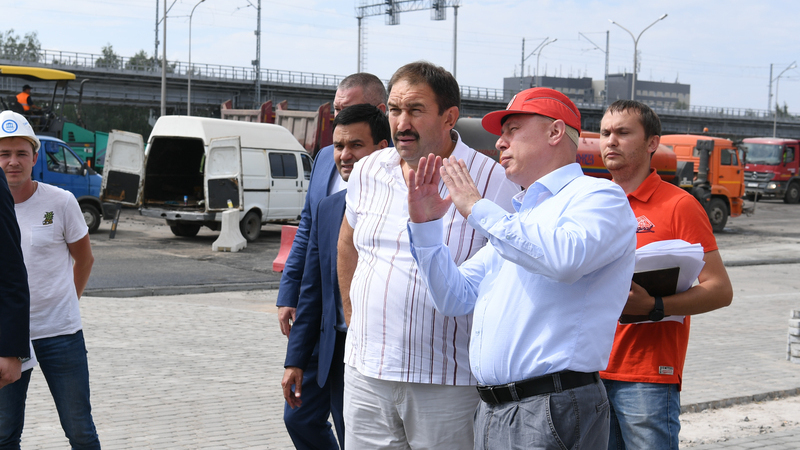 On August 4, Acting Tatarstan President Aleksey Pesoshin held a regular working meeting on the construction of the Kazan Expo International Exhibition Centre. As noted at the meeting, the construction and erection work is nearing completion. Currently, the installation of engineering communications, including ventilation and electric power supply systems, fire alarm and fire extinguishing system is underway. Moreover, builders have commenced interior finishing of exhibition pavilions, office and other related facilities. Also, the façade of the complex is being arranged and the adjacent territory is being landscaped. Pesoshin called for speeding up the construction work and using the most favorable weather conditions. At the same time, he added that increased pace should not adversely affect the quality of work.